We live in a world full of tales and myths of wonder and mystery. Some of these stories are nothing more than the impressive work of our human imagination, while others are founded on mankind’s creative attempt to make sense of things that are beyond people’s existing knowledge and understanding of a particular time. But, of course, there are also those that are not completely far-fetched from being true, and given our curious nature and our openness to consider a limitless array of possibilities, some of us consider these myths and legends quite believable, if not as undeniably true. And since we’re on the topic of plausible conjecture, I would like to talk about an enduring speculation by some people that are getting more and more support from the scientific community and is just waiting for an acceptable empirical evidence in order to be confirmed. I am referring to the hypothesis that there could be actual portals on our planet that could potentially lead to other worlds or dimensions. The widespread conversation and debate regarding where or not there are such things as parallel worlds or other dimensions and that there could be portals located in different parts of the globe which lead to them are not a recent development. The idea of parallel universes and various planes of existence have been entertained by the brightest minds of our ancient past and can be gleaned from deep-rooted spiritual practices and religious beliefs. But in our modern era, some people have even gone so far as to identify which areas on the face of the earth are currently hiding actual portals, stargates or passageways which grant mortal men access to worlds and dimensions beyond our own. And so, without further ado, here are five real places on Earth that could be portals to other dimensions. Located south of Cairo, Egypt and situated on the rim of the desert plateau on the western bank of the longest river in the world, the Nile, the Abu Ghurab or “the crow’s nest” is an archaeological site comprising of the sun temples of the pharaohs Nyuserre Ini and Userkaf, both of which were built in the 25th century BCE during the Egyptian period of the Old Kingdom. The site is regarded as one of the most precious ancient treasures of Egypt and is arguably one of the most amazing archaeological locations on the planet. But more than these glorifying labels, it is also believed by some people that this site is home to one of the oldest stargates that can be found across the globe. 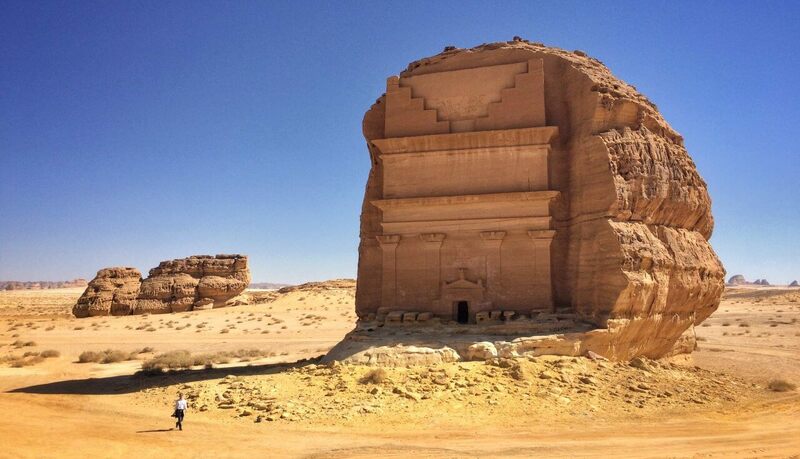 Somewhere within Abu Ghurab, an ancient platform crafted from alabaster was uncovered. Alabaster is a gemstone made of calcite regarded by ancient Egyptians as the precious stone of the sun gods, and was thought to be in sync with the vibrations of the Earth. And so, it is believed that the site of Abu Ghurab was actually constructed for the purpose of elevating people’s spiritual awareness which consequently allowed them to communicate and link with the sacred energies of the universe, known as the Neters. What’s interesting about the idea of communicating with the Neters through vibrations is that it is quite similar with the oral legends of Cherokee Native Americans which speak of formless “thought beings” that would travel to Earth from the Pleiades star cluster by riding sound waves. Add this to the speculation that advanced technology was used to construct the site, it is not surprising that this ancient Egyptian location is considered to be a possible portal to another world or dimension. Sedona is a city located somewhere in the northern Verde Valley expanse of the state of Arizona. At one point, this area was referred to by the Native American tribes as Nawanda, and regarded it as a sacred city. It is believed that that red rocks of the city’s desert are “spiritually charged,” and that there is a high concentration of “spiritual vortices” in this region. A vortex is an area of highly-concentrated energy that rises from the earth, and these “vortexes” are thought to be portals or passageways for celestial beings and terrestrial spirits. For those who believe in the existence of these vortexes, they can tell that they have encountered one when they sense vibrations from the ground and they feel a range of tingling sensation on their skin, particularly on the nape of the neck and the shoulder blades. New Age proponents believe that Sedona has these power spots and vortexes in abundance, making the mountains of Arizona the home of the purported “doorway to the gods” that transports beings to and from another time and space. This is also the reason why Sedona is a very popular destination for people with spiritual and metaphysical interests. Back in 2007, while scientists were looking to examine old boat wrecks, they discovered a Stonehenge-like stone structures standing on the floor of Lake Michigan, near Transverse City in the state of Michigan in the United States. These structures were discovered by Mark Holly, a professor of underwater archaeology at Northwestern Michigan University, and are believed to be 9,000 years old. Another interesting detail about the archaeological find is that one of its stones had a carving of a mastodon – an elephant-like creature that became extinct more than 10,000 years ago. The exact location of the stone structures has not been disclosed to the public by the researchers who discovered the archaeological site out of respect to the local Native American tribes who want to limit the number of people visiting the area. Although the exact age and archaeological relevance of the Stonehenge-like site is still heavily debated by mainstream scientists until now, some people believe that the ancient stone arrangement could be a stargate or a portal since the area is also known for the mysterious disappearances of boats and ships that sailed on the lake. Some of these boats have completely vanished along with its crew while others stayed afloat on its waters for days. However, the people aboard them, for some unknown reason, turned out to have disappeared without a trace. It’s safe to say that the Stonehenge is one of the most popular ancient rock structures in the world, and it is also no secret that this famous tourist destination in the United Kingdom has been the subject of intense debate over the date of when it was built as well as the true purpose it served after its construction. Mainstream historians will tell you that this bizarre rock formation was built around 5,000 years in the past. As for how it was constructed, they say that they were built partly from bluestones and that these stones were excavated and transported from a quarry site located 240 miles away. On the other hand, less conventional experts will tell you that the Stonehenge is much older than the first settlements that were established in the area 5,000 years ago, with some going so far as to claim that the ancient site is actually an energy portal. It is believed by some people that the location of the Stonehenge has a strategic and spiritual significance because 14 ley lines converge to where the rock structures stand, which, consequently, form a powerful vortex. While this theory may seem like a bit of a stretch, there is one story in the late 20th century that somehow supports the suggestion that the Stonehenge could be a stargate or a portal. In August 1971, a group of people at the ancient site suddenly vanished following the sudden formation of a violent storm and the successive appearance of several bolts of lightning from the sky. Later, when a policeman passed by the site, not a single person was found in the vicinity of the Stonehenge other than a few tents and a soaked campfire. Back in 1996, local tour guide Jose Luis Delgado Mamani accidentally rediscovered an ancient site situated in the vicinity of Lake Titicaca and near the mountain-filled region of Hayu Brand in Peru while he was exploring the area for his job. The region itself is venerated by the local natives as the “city of the gods” and researchers are of the opinion that several monuments could be uncovered beneath its surface. What Mamani found in this sacred area, in particular, is a gigantic door-like carving on the face of the Hayu Marca Mountain, and is referred to as “Puerta de Hayu Marca,” which when translated in English means “The Gate to the Gods.” The colossal “gate” measures 22 feet by 22 feet, or seven meters tall and seven meters wide. A smaller “doorway” can be found in the center of the gate at its base, which is only 6.5 feet or two meters high. According to Native American legends, the Puerta de Hayu Marca is the “gateway to the lands of the gods,” and that heroic mortals pass through the smaller door to meet the gods in their realm or domain. Consequently, by passing through the doorway, these heroes are granted immortality and get to live among the gods. The larger gate, on the other hand, was used by the gods themselves when they occasionally accompanied the immortal men in instances that they returned to Earth to visit their kingdoms. There is also another legend that tells the tale of Aramu Maru, an Incan priest who served in the temple of the Seven Rays. As the story goes, Aramu Maru fled the temple in the 16th century to escape from the Spanish conquerors that arrived in Peru. He brought along with him a magical golden disk referred to as the “Key of the Gods of the Seven Rays.” He headed for the mountain of Hayu Marca where he performed a ritual with Shaman priests to open the smaller doorway of the Gate of the Gods. Vibrant blue light shone through the tunnel, and when Amaru Maru passed through it, he vanished from the face of the Earth and is believed to have traveled to the realm of the gods, never to be seen again. I may have only listed five actual ancient sites that could contain portals or stargates that lead to other worlds and dimensions, but there are probably dozens, if not hundreds, of these otherworldly gateways spread across the globe. Who knows? There might be a portal hiding somewhere inside your own home, maybe even in your closet! But if, on the off-chance that you do stumble upon an actual stargate to another world or a passageway to the realm of celestial beings, will you dare to pass through it out of amazement and sheer curiosity? If so, what do you think could be waiting for you on the other side? History Declassifies First Look at Alien In “Project Blue Book” Series!